Power reclining sofa with extra wide, deep seating features power headrests and thick track arms tailored in gray leather, plus USB ports. 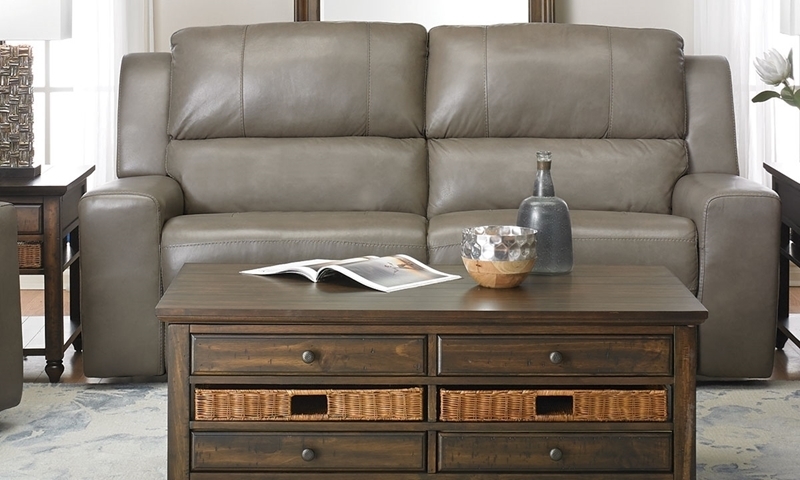 Make style and comfort top priorities in your living room with this contemporary sofa. Its sleek design features extra wide, deep seating between thick track arms, all carefully tailored in versatile gray leather. Both sides feature a power recliner equipped with a power headrest and full-leg chaise for complete, personalized support. Thanks to the USB ports built-in to this sofa, you can keep your smartphone and other modern gadgets fully charged without ever having to leave your seat.